We are being careful to assess everything before making changes and trying not to jump into anything too soon which is the most common advice from every book, article or web forum on smallholding. However I am eager to start making some of the bigger decisions about things like other livestock, managing the woodland , adding renewable energy sources and expanding the growing capability. I’m not sure that I will know how to tell when we’ve reached the point when we can start on some of these things but I’m hoping that I’ll know when the time is right. I’m also reminding myself regularly that we can do whatever we like now we have the space and also that in some cases it might be better to “do and learn as we go” rather than “plan too much and never start”! 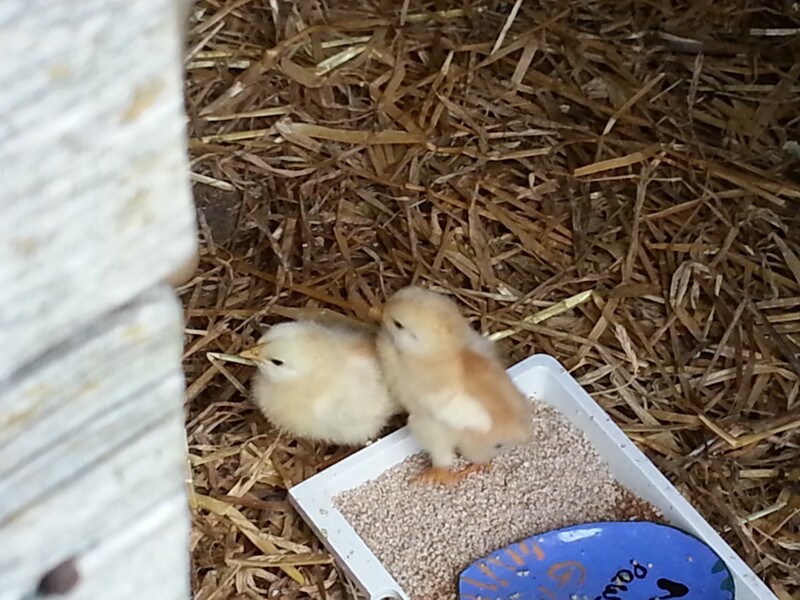 For example, we hadn’t planned to get any more chickens yet but with one of original pet hens dying it seems very opportune that one of the hens we “inherited” from the previous owners has hatched out a couple of chicks! One of the other hopes for this move was to have some time to appreciate things and, just occasionally, raise the eyes to take in everything that is around us rather than getting swamped by the daily grind. Obviously you don’t need to move to do this but looking around the local area here is definitely more scenic than our previous suburban existence. It’s called the North Pennines AONB for a very good reason. A simple walk down the lane into the village on a Saturday morning recently was just one such occasion. 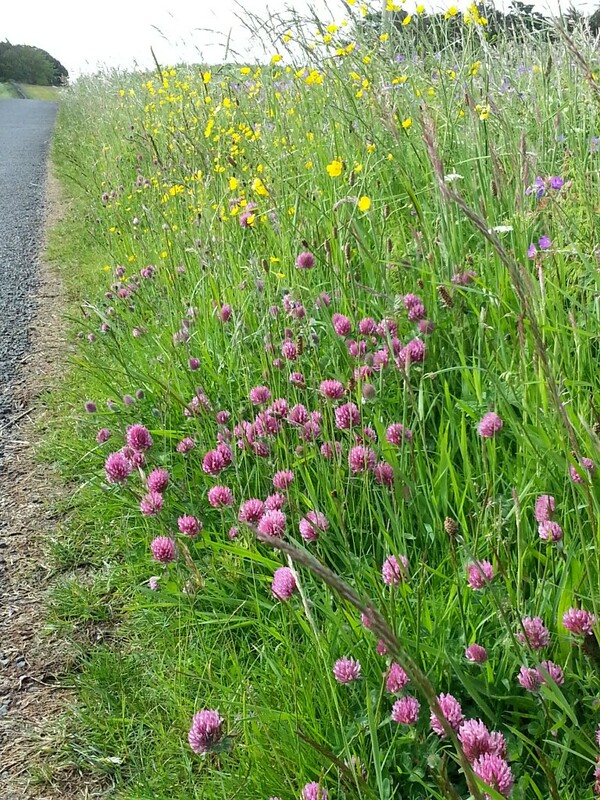 A pleasant morning stroll with curlews and chaffinches calling all around and I noticed that the clover was flowering at the side of the road. I’d never noticed before that clover flowers have quite a noticeably (and not unpleasant) scent. The combination of that with the other wild flowers at the moment was definitely worth a picture at least. I’m sure we’ll look back at this fondly in about 6 months time when the verges are covered in snow!